What was your first main job after you finished school? Did you go to university and then get a full-time job or did you, like me, go straight into the workforce? Had I known, I could have gone to Canberra to work as a typist, a stenographer or a secretary. Instead, I chose to come to Adelaide from country South Australia and work here and have stayed (mostly) ever since. 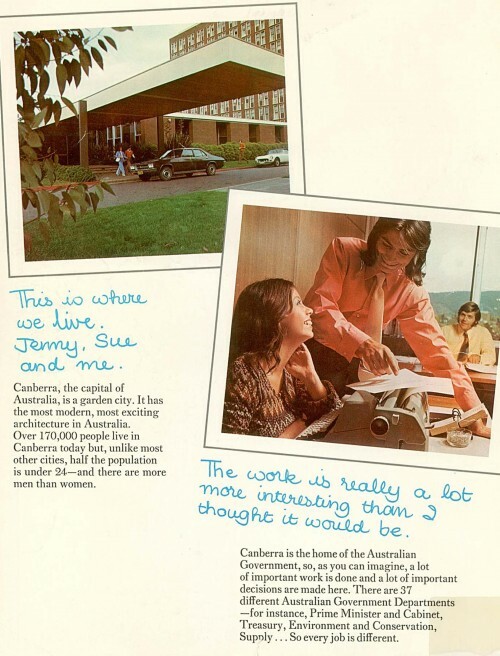 Here’s what my life might have been like had I gone to Canberra to work in the 1970s. 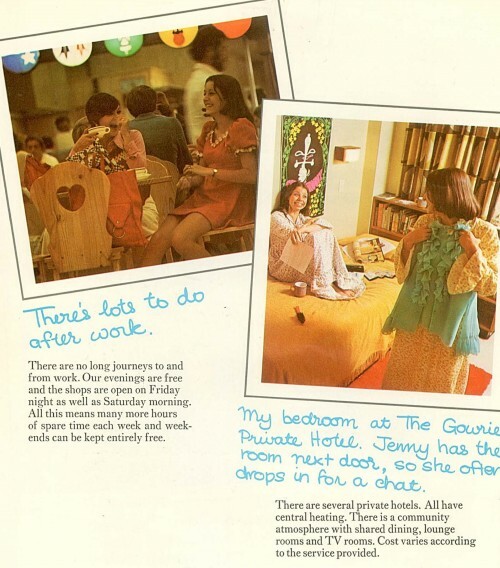 Mind you, I had just started school in the 70s so was a tad too young. I got work with the Australian government and the work was a lot more interesting than I thought it would be. And the work was really important but only important enough, mind you, to be in a support role. No executive position for me because I was a woman. But hey, every job was different so it was exciting and it was my first time away from home and away from the family. Hey, and guess what? Because I could type at 50wpm or more I got a bonus. And I got even more money because my shorthand was excellent. Also because I had to move to Canberra to work, the government helped me out with accommodation costs. Otherwise I would have had to stay in Adelaide I guess. Of course, there was a chance of a cute bloke to work with. 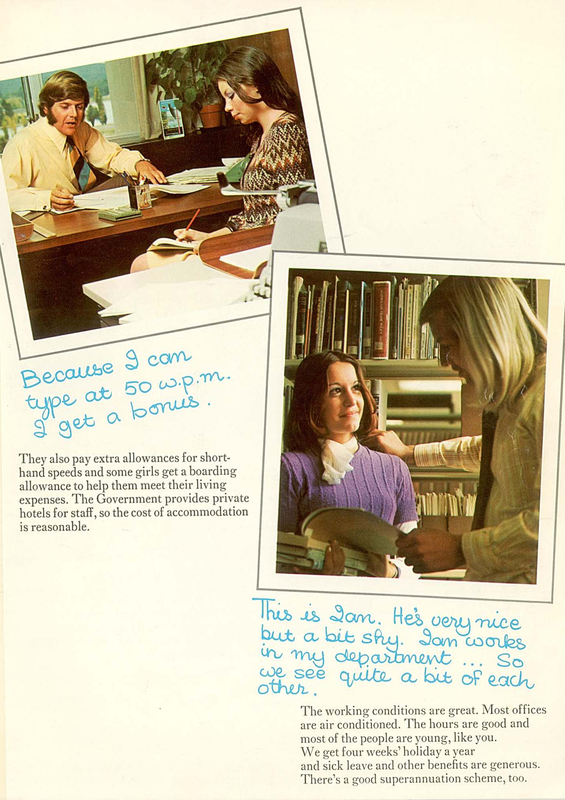 But if not, the offices were air conditioned so that was a bonus and the superannuation scheme was good. Canberra is a bit cold in winter so luckily my accommodation had central heating. Having my mates live in the same accommodation was great because we were always popping into each other’s rooms to borrow clothes and have a gossip about our excellent work conditions and the great air conditioning. I know you want more and there is more. Stay tuned to see how it turns out. ha ha ha ha – grooooovy chick!!! 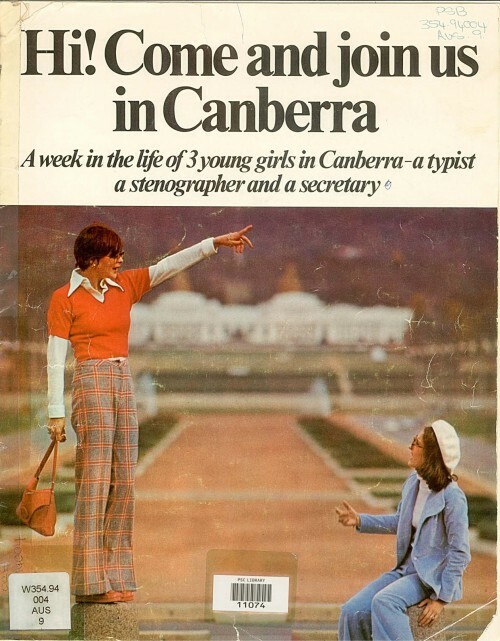 I have noticed that all people do in Canberra is smile. I’ve never actually been to Canberra. Maybe I will one day and revisit this era.